Thank you Maria for taking the time to read and comment. Honestly, I could sit and eat a large slice of this myself each day until the entire crostata disappears. This crostata di ricotta brings back many memories as it’s somewhat similar to one I grew up with and my mom would religiously make every Easter. We called ours “Cassata” and your right it is lighter and less sweet then other cheesecakes. I would have no problem devouring a large slice or two. 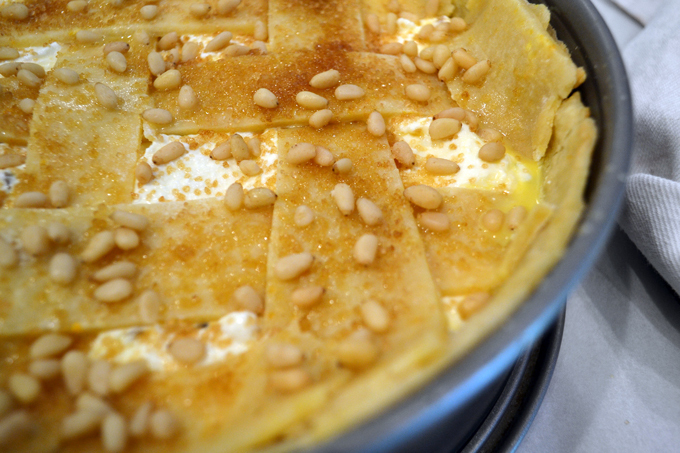 And also it would seem we both have ricotta desserts on our minds this week…. Thanks for sharing your lovely recipe! Each family has their own variation of these ricotta pies, both sweet and savory at this time of year. I can’t think of a better way to celebrate with family and friends that to have a Cassata or Ricotta Cheesecake ready for guests. Buon Pasqua Marisa and thanks commenting. I’m getting ready to make the savory crostata that my grandmother always made at Easter. Buona Pasqua! I look forward to your grandmother’s recipe soon, Buona Pasquetta! I look forward to your grandmother’s recipe soon, after all it doesn’t need be Easter to enjoy something that wonderful.